Mobile Legends' Johnson is probably one the most favorite tank type character in the most popular MOBA for mobile. With his unique ultimate skill, this character transform into a vehicle which not only transport teammates but it also stuns opponents in the way. Recently, a most interesting thing about Johnson is the discovery of several bugs in his skills. Players have reported and often have recorded the strange behavior of the character. Most common of these bugs allows the hero to gain movement speed even if he does not transform into vehicle mode. But the most interesting bug is the one that allows Johnson to one-hit an enemy using his ulti skill. It has been investigated by different professional gamers on YouTube and showed how to exactly activate the said bug. 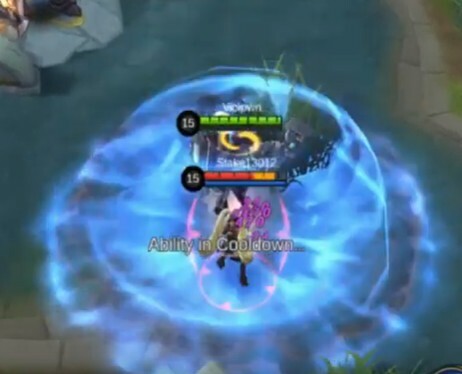 Basically, one should only tap the last skill button repeatedly while maintaining very close distance with the target and the bug will manifest as if the skill has been cast multiple times. Watch Mobile Legends Johnson Ultimate Skill cheat in action below and see for yourself how it can affect your gaming experience. I like to write about events, about people in this ever changing world. I love to rant anything found in the internet and the real life.